Karl, who is from Homer, Alaska, earned his BFA in Sculpture and Ceramics from Sierra Nevada Collage in Incline Village, Nevada in 2012. He went on to earn his MFA in 2017 from the University of Montana in Missoula, Montana. 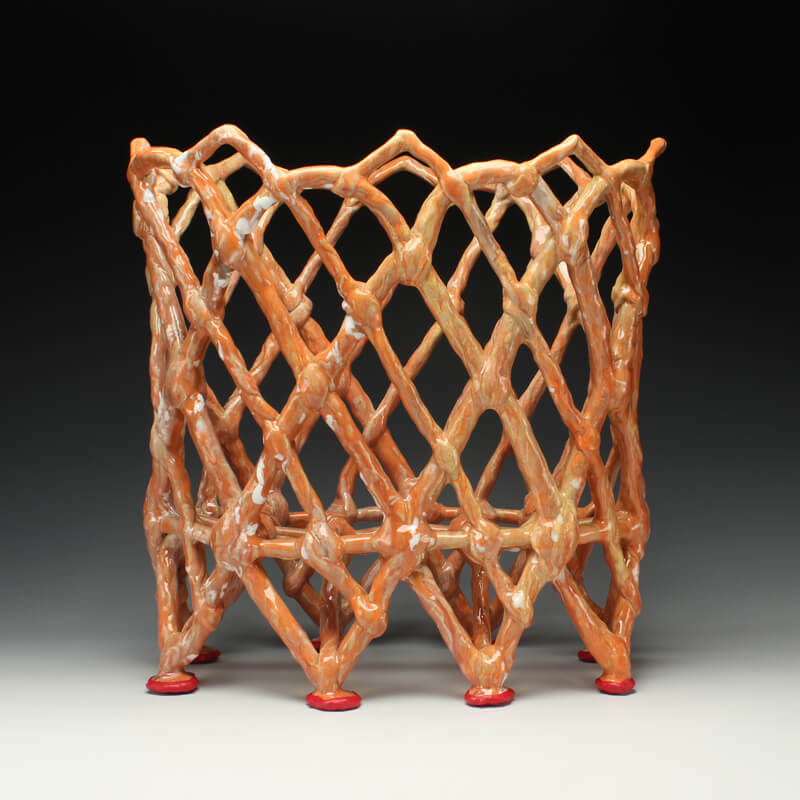 He was the Ceramic Artist in Residence at the Sonoma Community Center in Sonoma, California, and was an adjunct faculty member in the art department at the University of Montana Western in Dillon, Montana. He was a Short Term Resident at the Red Lodge Clay Center in 2015 and again in 2018. Karl has exhibited works in California, Nevada, Washington, Montana, and Pennsylvania. My work is a break-down of what I know of a thing though a synthesis of found and manipulated objects in conversation with ceramic forms. I take note of the original function and concept of things, but become unfamiliar through contextual shifts. I deconstruct and reconstruct vernacular. Found objects and ceramic forms begin to exist with equal measure of industrial, domestic, or structural association with an overlay of organic touch. I cut, combine, layer, pinch, attach, stitch, perforate, bind, suspend, clamp, lift, peg, and twist until original function and context becomes a starting point for dialogue between our shared cultural experiences and assumptions. The work is both formal and object based dependent upon the viewer’s engagement and cultural understanding in order to appreciate them as art-objects.